Simply Good Pictures automatically optimizes photos to make them look more realistic! Simply Good Pictures‘ fully automatic photo optimization improves your images with a single click, for example to make them look more realistic. At the same time, selective object recognition ensures that only those parts of the image are optimized that help to improve the overall impression. Simply Good Pictures 5 can extend the dynamic range of the images, recognize faces as image components and calculate them according to their relevance, compensate for incorrect exposures, correct colors and brighten shadows. Simply Good Pictures can handle all known image formats, including JPG, BMP, TIFF and RAW. The software can instantly capture images larger than 40 megapixels and also supports EXIF data. 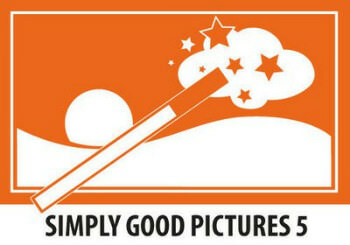 Which technology is “Simply Good Pictures 5” based on? The technology used has been tested with thousands of photos and is also highly optimized for speed. Multi-core, real 64bit and other speed optimizations are used, which depend on your processor or your graphics card. The technology is also used, for example, by companies that sell or offer photo books. Our technology itself runs under Linux, Max and Windows, whereby Simply Good Pictures “only” runs under Windows 7, 8 and 10. Fully automatic color adjustment, including redistribution of tonal values, white balance, hue adjustment, saturation, contrast optimization and bright/dark correction. Besides JPG, BMP, TIFF and GIF, many RAW formats are supported, e.g. : raw, crw, orf, 3fr, nef, raf, mrw, nrw, nrw, dng, cr2, arw, x3f, rw2. The main window of the application is split into three parts, the original picture is displayed on the left and the preview on the right-side of the screen, while the optimization and repair section can be found at the bottom. Even though the algorithms and mathematical procedures used to reconstruct and optimize photos are identical to those used in Photomizer, this application doesn’t come with so many image enhancements as the latter. Simply Good Pictures does not support batch mode, so you are left with the single option of optimizing one picture at a time. But what it lacks in features, it makes up for in easy manipulation and full-proof results. In order to quickly edit a photo, you can select the Automatic optimization option, but keep in mind that by doing so, you won’t be able to use the Auto-Color function. When you unselect the Automatic option, you can use the slider to increase or decrease the strength of the optimization process. Furthermore, you can reconstruct pictures by removing artifacts and image noise. The program automatically sets the dynamic range, recognizes faces as parts of photos, compensates incorrect exposures, adjusts colors, reduces shadows and brightens up images. Thus, there is little work left for you to do, since the application decides for itself which areas of the photo need improving. One of the best fully automatic image optimizations in the world! – Automatic object recognition: manipulates only those image parts, which help optimize the overall impression! – Fully automatic re-adjustment of tonality! – Fully automatic contrast optimization! – Touching-up of image through higher definition! – Colour-intensive photos through re-sharpening of matt colours! – Manipulation of colours to get more cheerful images! – Fully automatic system for hue control and saturation! – Fully automatic system for white balance. – Fully automatic system for bright/dark correction. – Elimination of fog and other weather influences. – Elimination of undesired colour casts.